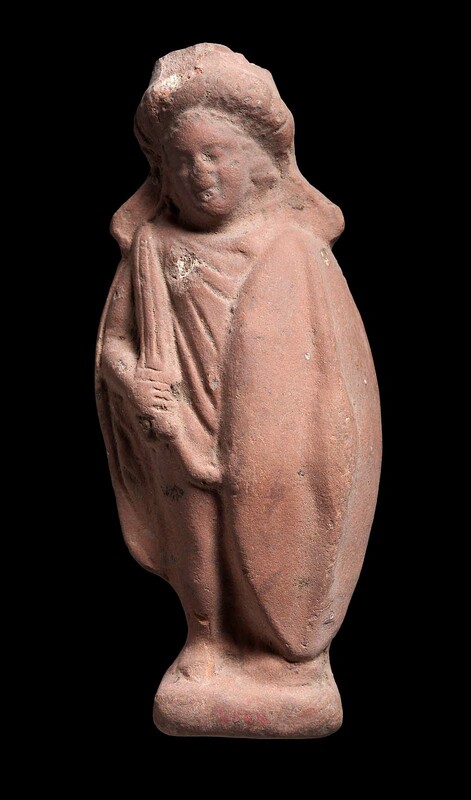 Boy with shield and sword. From Naukratis. 1885: excavated by William Matthew Flinders Petrie for the Egypt Exploration Fund, assigned to the EEF by the Egyptian government; October 28, 1885: voted to the MFA at EEF general meeting; sent over February 1886. (Accession date: 1886).